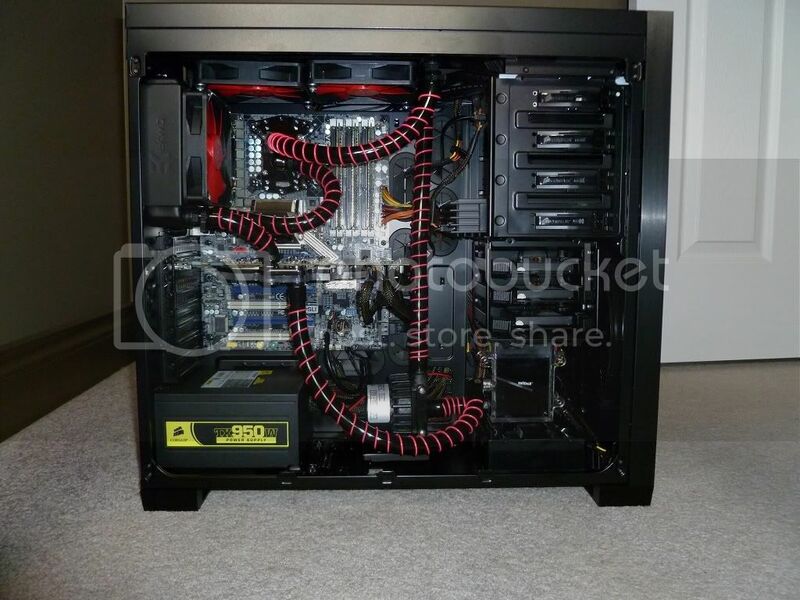 Said goodbye to my passively cooled system and did an install on a Corsair 650D. 240mm rad and a 120mm rad. The whole thing was a bolt on, zero mods. Plenty of upgrades, including a custom mid plate and a few other treats. My 800D I recently finished. 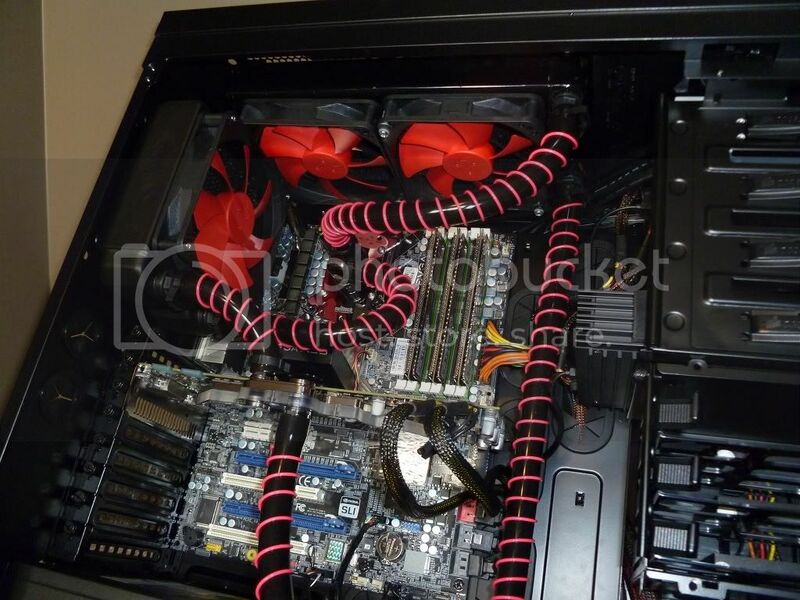 More Pictures can be found under "800D Watercooled Build - Poseidon"
as it sits now. 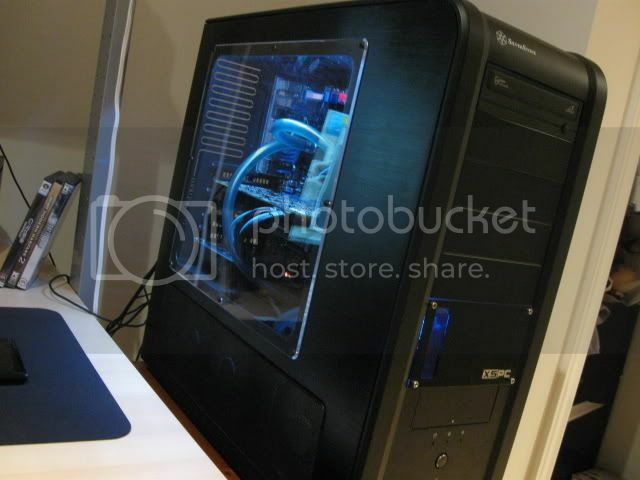 removed 240 rad and cut 5.25" drive bay bottom and fit 360 rad that was sitting externally on the inside.. I like how you flipped frozenQ and made such a clean tube routing with it. THis reservoir is always awkward with connections and your way is getting recorded to my mental note storage for future projects. 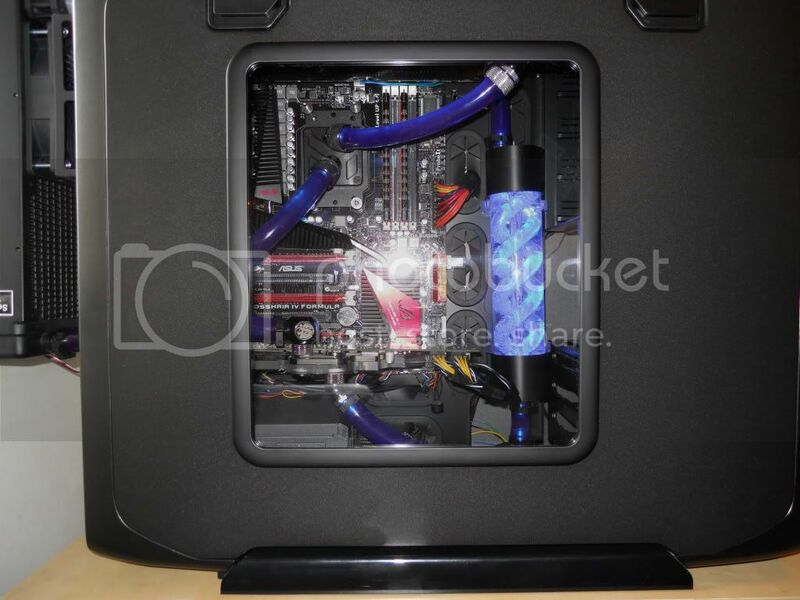 Is it okay to have the Frozen Q resevoir like that? 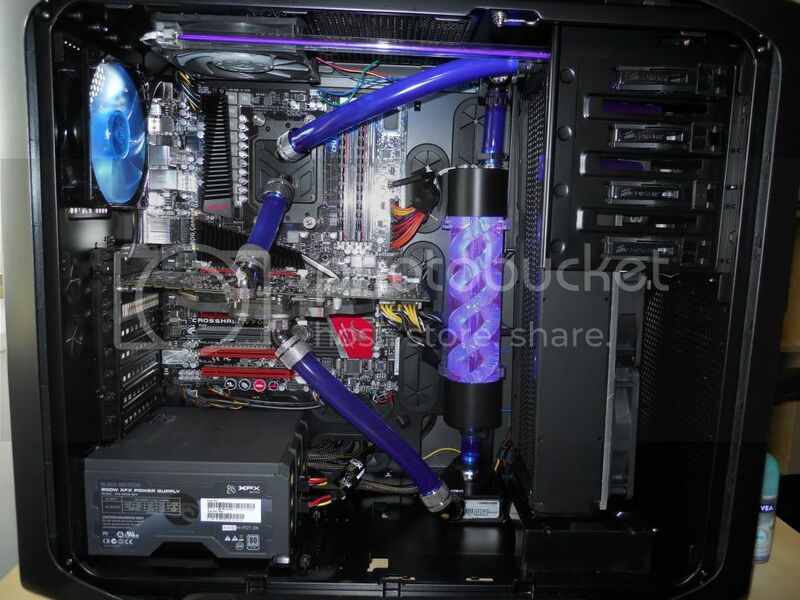 I thought about that for my build as well but was worried about the flow restriction threw the "fill port" that you have on the bottom. Since it goes from that point directly to the pump i figured it could have an impact. I couldn't really find any info on the web about it. 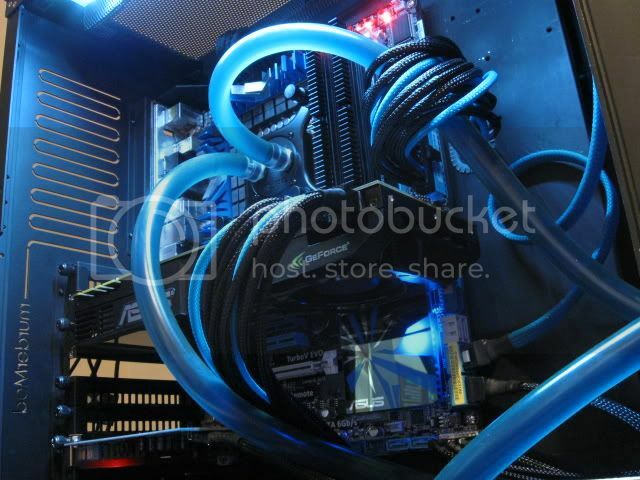 I do agree that it is really awkward to deal with both connections on the bottom though and i wouldn't mind changing my loop in the future to something like this. haven't noticed any temp rise, i had it liked this since the day i got it. and temp stayed the same. only thing to note is to when you get all the air bubbles out, just top off the res pretty much to the top, or else you'll keep getting more air bubbles.